you are tired of taking out a knife when you get home from shopping so that you can open your packages and risk destroying them. 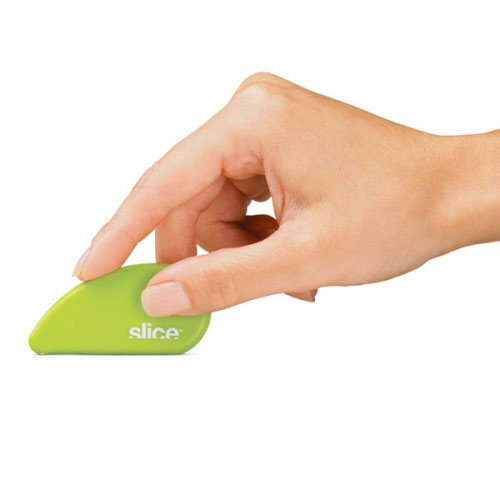 As long as the Slice® safety cutter isn't perfectly parallel to what you want to cut, it won't cut anything or anyone. 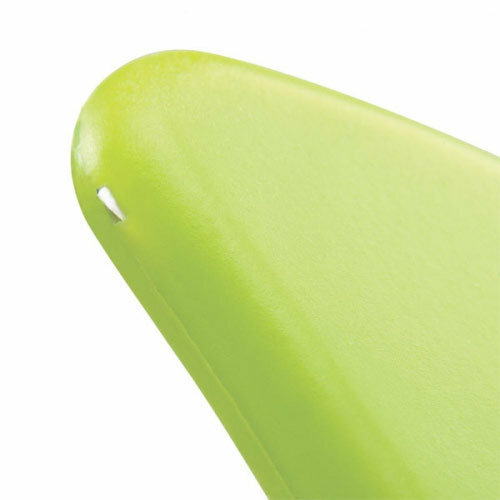 Held perfectly parallel to the material you want to cut, the blade becomes functional and works its magic on even those most annoyingly difficult-to-open packages (blister packs, heat-sealed packages, boxes...). It also makes clean and precise cuts on photos, paper, bristol board, etc. 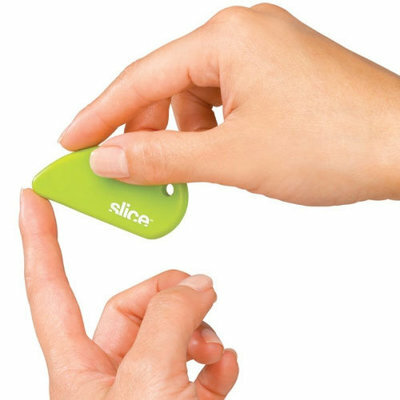 The Slice® Safety Cutter is a very clever utility knife that is both safe and practical (everything we love at LaPaDD). Its ceramic blade is made with zirconium oxide, a stone used in jewelery to create synthetic diamonds. It is one of the closest mineral cousins of diamond in terms of hardness (10 on the Mohs scale) and contains no metal elements, so it will not rust or oxidize. Very compact (6cm by 3cm), it is designed to follow you everywhere: in an airplane (completely useless for highjacking or taking hostages), in your purse or your pocket (you can even put it on your key ring thanks to the hole provided, no risk of cutting a hole in your pocket). Its rubberized ABS shell makes it very easy to handle. 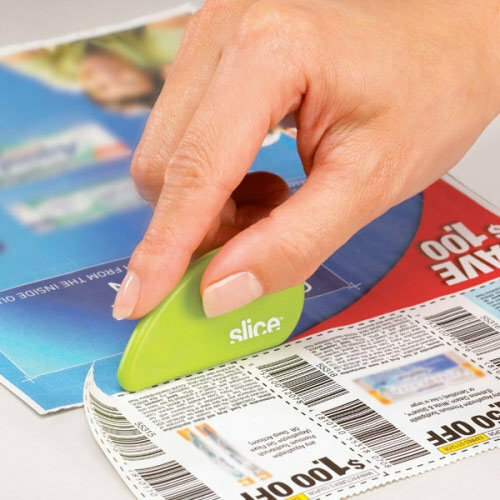 Equipped with a magnet, it will obediently wait for you on the refrigerator door, right where you need it (when you get home from shopping) and will soon become an indispensable tool for getting rid of excessive and annoying packaging: from the plastic wrapped around your milk cartons (without risking cutting into the cartons themselves) to heat-sealed ink cartridge packages, nothing can stop it. efficient - thanks to its zirconium oxide ceramic blade, it can cut through heat-sealed plastic packaging, paper, cardboard, blister packs, adhesives, etc. always there when you need it - thanks to its built-in magnet, you can leave it on the refrigerator so its always available. You can also attach it to your key ring thanks to the hole provided for this purpose (another proof of its safeness).